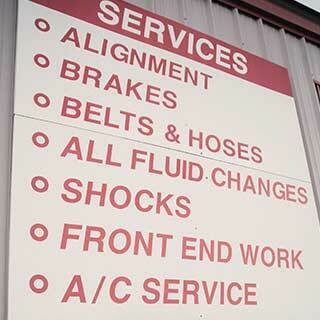 Selecting the best maintenance facility for your vehicle is a very important decision. Just think about it there are lots of valuable things that are riding on your tires. That’s why Action Tire Company is here to assist you. We have just achieved our 20th anniversary, now that is a reason to do business with us. We have continually grown both our services and locations to provide everything our customers need. Once arriving at Action Tire Company you will be greeted and assisted by our staff. All of our professionals are trained to analyze your vehicle’s needs and then provide you with a solution designed to fit within your budget, without compromising safety. 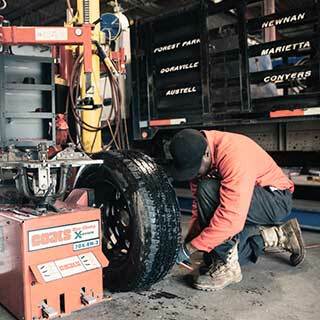 These certified tire specialist have years of experience in the tire and automotive industry. So do not hesitate to ask all of those lingering questions. Action Tire Company is not here just for the sale today but to build a relationship for years to come. What separates us from the other dealer down the street, unheard of quality with everything we sell. With tires and parts we provide brand names that you can count on in every driving condition. Many of the part companies provide extended & lifetime warranties. The tires we sell are backed by very strong manufacturer warranties. Our technicians receive on the job training on a daily basis with our many certified specialists. All of our technicians are waiting to provide quality workmanship on the parts you need as our customer. As part of Action Tire Companies promise, we as a company try to stay current with all of the state of the art equipment in today’s market. We are always participating in tests and experiments with our vendors to find the most cost effective way to service your every need. 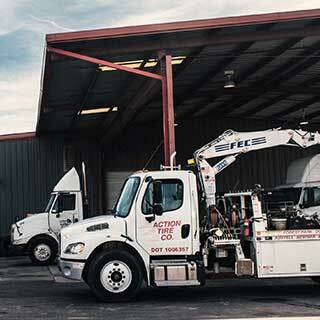 We know time is money, which is why all of our locations are close to major highways. Our customers have Easy in, easy out access with drive thru service at all of our locations. Completely down, do not worry one of our many service trucks will get you on your way as soon as possible. We know that everything takes time so our waiting rooms have all of the things one needs to pass the time. Cold air conditioning in the summer and heat in the winter just settle into one of our showrooms and pass the time. We are always trying to make your visit to Action Tire Company as comfortable as possible.